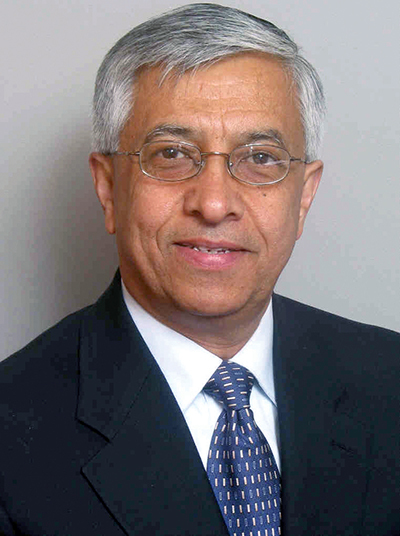 Dr. Ghassem Asrar of Pacific Northwest National Laboratory has been named a 2014 Ambassador for the American Geophysical Union (AGU). Asrar is one of five honorees recognized for outstanding contributions in the areas of societal impact, service to the Earth and space community, scientific leadership and promotion of talent/career pool. Asrar is Director of the Joint Global Change Research Institute, a partnership between PNNL and the University of Maryland, charged to understand the national and global scientific challenges and opportunities at the interface of energy, water, climate and food systems. His past experience leading the World Climate Research Program, the U.S. Department of Agriculture, NASA, and academia demonstrate not only his technical expertise, but his leadership skills in guiding scientific, environmental and natural resource organizations to understand the Earth's changing planetary system. An international scientific leader, Asrar is also known for his passion for education and support of developing the next generation of scientific leaders and professionals throughout his professional career. Asrar is author of over 120 peer-reviewed scientific and technical papers and books, and is sought after as a speaker, editorial board member and contributor to scientific and technical endeavors around the world. A Ph.D. graduate of Michigan State University, he is also a fellow of the American Meteorological Society and IEEE. The Ambassador's Award was established in 2013 to honor AGU members who, according to the AGU, have achievements that "extend beyond those recognized by traditional scientific discipline awards." The award includes designation as an AGU Conferred Fellow and recognition at the Union's annual Fall Meeting. The Award, conferred through a peer nomination process, honors up to five outstanding scientific leaders each year.